A well designed and executed sign is your calling card. It attracts customers and those first impressions go a long way. Sandbasted (3D) Although sandblasted signs are more expensive than short term “vinyl decal” sign solutions, a sandblasted sign can last for decades. 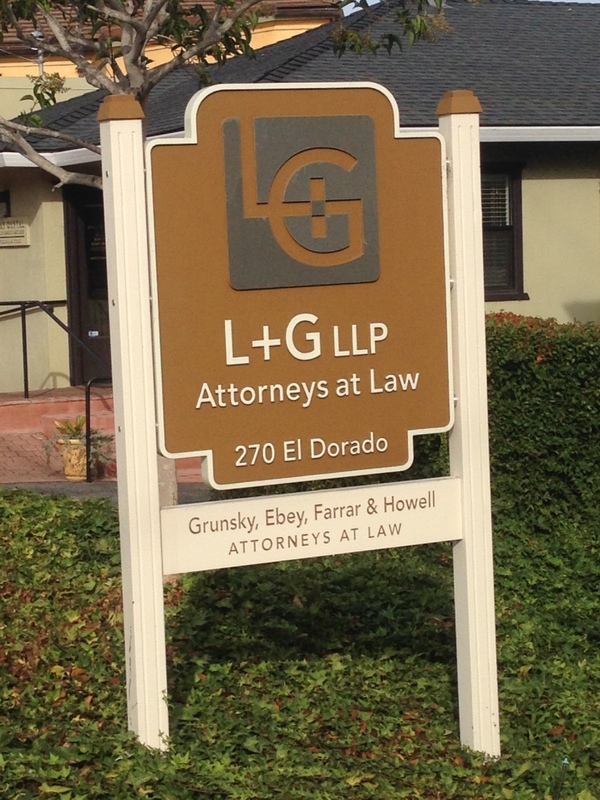 A typical outdoor vinyl sign may only last up to five years. That’s quite a difference. Whether you are looking for a residential entrance sign, business park directional signs, lobby or reception way finding, or golf coarse signage, we can provide a solution that will exceed your expectations and leave a lasting impression. 3D multi- axis routing. We can produce one or multiple dimensional signs and objects with our highly skilled craftspeople using our large (5’x10’) routing machines. We use the latest modeling software to your satisfaction. When practical, we can hand-carve your requirements, too. Acrylic plastic comes in various colors and thicknesses. 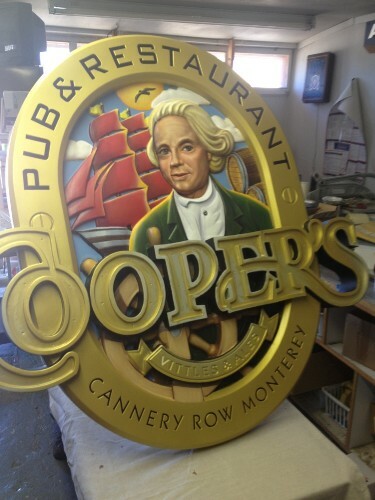 It lends itself well to smart looking interior signs with high polished edges and surfaces. Cedar planks have taken over from Sequoia redwood because of availability and longevity. In time, old growth Cedar will too become harder to obtain, but for now it makes a sturdy sign substrate. HDU (High Density Urethane) is the most popular choice of substrate for sandblasted and routed signs today and it’s the material we use for most of our signs. It is impervious to insects and rot and unaffected by temperature changes. It can be painted to look like wood if desired. Interested in Signs? Contact us today!